Appreciated worldwide as a multi-instrumentalist virtuoso, composer and singer of unprecedented caliber, Slobodan Trkulja has established himself on the music scene as a charismatic performer whose sonorous and emotional singing alongside his music mastery captivates audiences around the world. To them, he is a genius who plays 15 instruments with great skill and whose daring music carries a timeless message. Critics have dubbed Slobodan as “one of the most beautiful male voices of the Balkans” (NRC Handelsblad, Netherlands), a “male version of Le Mystery des Voix Bulgaires” (Balkan Insight), a “player with infectious energy and talent, causing the audience to surrender completely” (Trouw, Netherlands). Whether performing for an audience of thousands in Amsterdam’s Concertgebouw, Shanghai’s World Expo, St. Petersburg’s Music Hall Theatre, Belgrade’s Sava Center / Kombank Arena to name a few, or an intimate performance for several hundred people, Slobodan equally enjoys appearing in major concert halls as in non-traditional venues and festivals such as EXIT, North Sea Jazz Festival and Celtic Connections. As the frontman and founder of the group Balkanopolis, Slobodan collaborated and performed with notable jazz and symphonic orchestras including Grammy Award winning Metropole Orchestra from Holland, Belgrade Philharmonic, Jazz Orchestra of Concertgebouw and Eddy Martinez Latin Big Band, to name a few. Guest artists who appeared with Slobodan & Balkanopolis at his concerts include fado diva Mariza (Portugal), Oleta Adams (USA), Yorgos Dalaras (Greece), Baaba Maal (Senegal), Mayssa Karaa (Lebanon/USA), Pelageya (Russia), Josipa Lisac (Croatia) and others. Balkanopolis’ latest album “Kingdom of Balkanopolis”, produced and recorded in Peter Gabriel’s Real World Studios in England, had its premiere in May 2015 at Belgrade Arena, the second largest indoor venue in Europe in front of jubilant 10,000 people. Besides being known for his music, Slobodan is also known for his humanitarian work and special music performances for babies and toddlers. Born in Serbia in 1977, Slobodan first taught himself to play the clarinet at age 11, after which he learned to play dozen more instruments. In 1998 Slobodan went to Amsterdam where he studied saxophone at Conservatorium van Amsterdam. He received his Master’s Degree with highest honours. 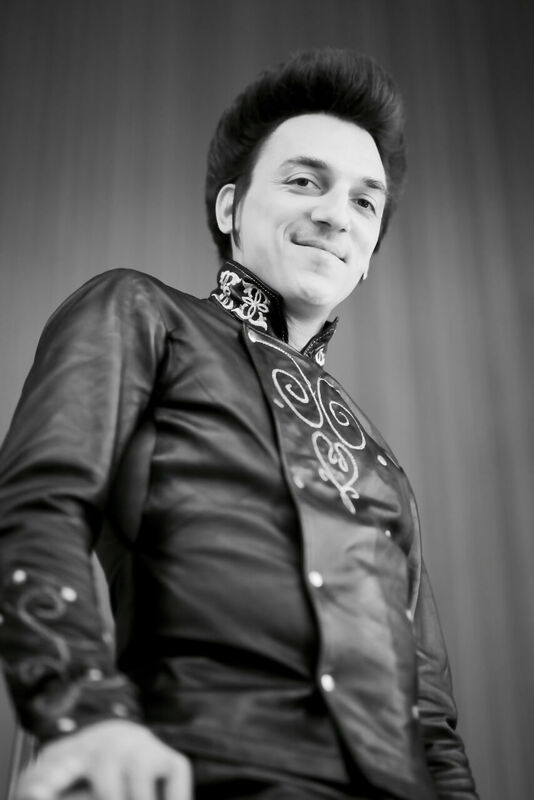 Slobodan Trkulja is the founder and frontman of Balkanopolis. The music of Balkanopolis, composed by Slobodan Trkulja, is rooted in jazz / orchestral / pop music and Balkan traditional melodies and rhythms. It varies in style from acoustic & traditional, played on Serbian traditional instruments, furiously improvised jazz-orientated solos over incredibly complex Balkan rhythms (25/8), to modern take on ancient Byzantine chants and “grleno pevanye” (archaic throat singing). Mixed with powerful orchestral arrangements and modern sounds, the music of Slobodan Trkulja & Balkanopolis ranges from lyrical to epic soundscapes. cornemouse, tenor/soprano saxophone, clarinet, flute, traditional percussions, etc. Slobodan Trkulja & Balkanopolis created a unique sound that is referred to as the Modern Tradition and has evolved into a musical genre with an increasing following both in terms of other musicians that are emulating it and international audiences that are drawn to it.